Magento 2 Frenet Freight Gateway: Magento 2 Frenet Freight Extension module enables the store owner to integrate Frenet Gateway with the Magento store. 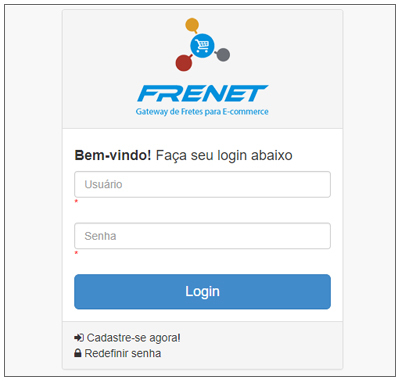 Frenet is a platform which allows you to do integration with multiple shipping carriers for Brazil postal codes. The store owner can find the best available fright prices and optimize the logistics costs. Through Frenet Freight service it is possible to carry out a freight quote based on the parameters of origin, destination, product dimensions, weight, and the total value of the shopping cart. With the result of the quotation, the final customer can choose which shipping option is most appropriate to be used, estimating the delivery time and cost. Magento 2 Frenet Freight Gateway: With the help of this extension, the store owner can integrate Frenet Freight Gateway with its e-commerce store. Frenet is a platform which allows you to do integration with multiple shipping carriers for Brazil postal codes. The store owner can find the best available fright prices and optimize the logistics costs. Through Frenet Freight service it is possible to carry out a freight quote based on the parameters of origin, destination, product dimensions, weight and the total value of the shopping cart. With the result of the quotation, the final customer can choose which shipping option is most appropriate to be used, estimating the delivery time and cost. Enable/disable the Frenet Freight Shipping module. Set the Frenet Freight Shipping method name. Select the multiple countries to ship the products to specific countries as per the choice. Enter the Frenet details to manage the shipment of the orders. 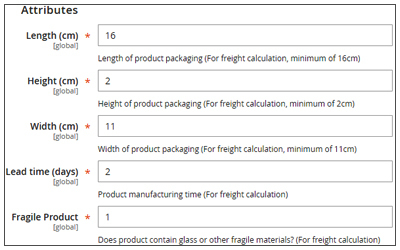 Set the dimensions(length, width, and height) for the shipments. Configure the weight format for the shipments like grams, kilograms as per the choice. Can add extra days to the delivery. 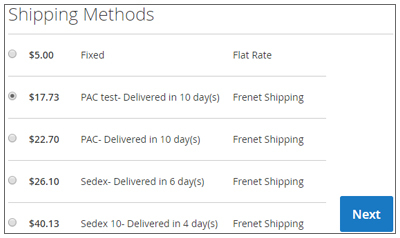 Using Frenet Gateway, add various shipping carriers for shipping the products. Provide your customers with the Frenet Freight shipping method to ship the products for Brazilian Postal codes. This shipping method is fast, reliable and trusted by millions of customers around the globe. The buyers can enjoy the seamless, safe, and fast shipping service to get their products shipped to their location. The user can activate the carriers from the Frenet account as per the choice. 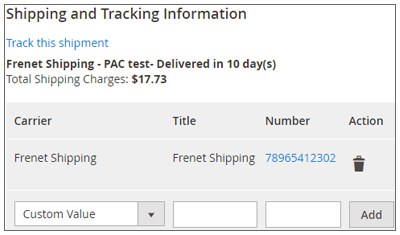 The user can calculate shipping from the Frenet account. This module is a great solution for the merchants who wish to increase their business globally. As this module allows the shipment of the products to the Brazil postal codes. And can also ship the products around the world. The store owner can integrate multiple shipping carriers methods offered by Frenet Freight Service for shipping the product. This enables the customers to select their preferable shipping option on the checkout page for getting their product shipped using the Frenet Freight Service. Set the “Frenet Freight Shipping” title which will be displayed at the front-end. Enter the Frenet account details. Note: If the user has purchased international shipping service from the Frenet Administrative Panel. Then only, the user will be able to make the shipments to the other countries otherwise not. Length, Height, and width: set the dimensions. Lead Time(days): add extra days to the delivery. Fragile Product: set 1 if it contains glass or other fragile materials else set 0. Note: If the user has Brazilian shipping service then, the sum of every product Length, Width, and Height should be less than or equal to 170 cm. And, the product weight should be less than or equal to 30 kg. 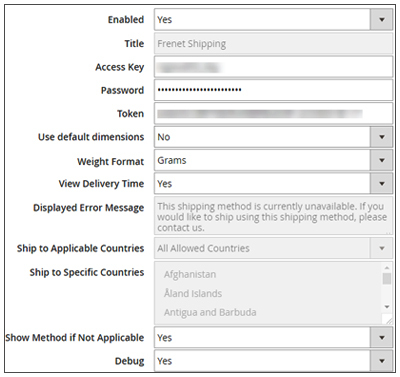 If the user has also purchased International shipping service then, the product dimensions and weight may vary from one country to another. The customer can easily use this shipping method for their purchases. According to the customer’s address, shipping methods and price will be displayed. As per the choice select any shipping carrier among the available carriers offered by Frenet Freight Gateway. The Frenet Freight Shipping rate calculation is based on the parameters of origin, destination, product dimensions, weight, and the total value of the shopping cart. The admin can view the complete list of the orders and their details. The admin can manage the orders and generate invoices, shipment of the orders. The admin can also generate the Tracking Number. The admin can even notify the customers by sending them emails, cancel/hold the order and even edit/reorder the product order. Did you buy Magento 2 Frenet Freight Gateway?